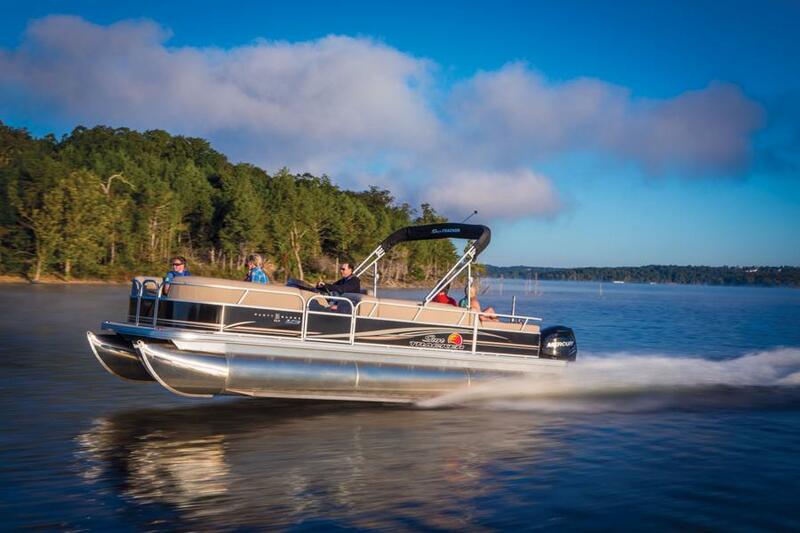 The popularity of pontoon boats is on the rise, and models like the Bass Buggy 16 make it easy to get on the water in your own boat. 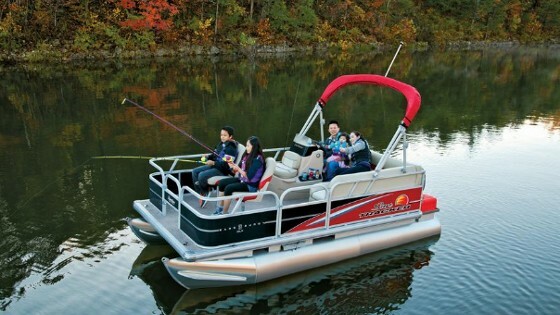 You need an inexpensive pontoon boat that will get you and your family out on the water, but you also want to buy a brand name—like Sun Tracker—that has a long history and an established reputation? The new Bass Buggy 16 is one of very few you’ll find for under $10,000. 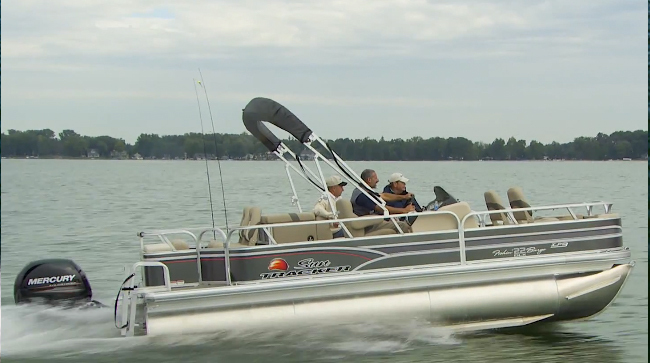 Sun Tracker is known for delivering the most boat for your buck, and has even had some models recognized as Consumer’s Digest “Best Buys” in boats. In fact, this may be one of the few boats on the water that costs so little and delivers so much, it’s conceivable that you could catch enough fish over the years to cover the cost of the boat. With the Bass Buggy 16, you can take the family fishing for years - at less cost than some boaters spend on fuel alone in a season or two. Although the Bass Buggy 16 won’t set any speed records with the standard-issue 20-hp powerplant on the motor pod (upping to a 40-hp outboard adds about $3,000 to the $9,995 sticker price), it still has the pep to get you around the lake at 12 to 14 mph (the 40-hp. motor gets you close to 20-mph). 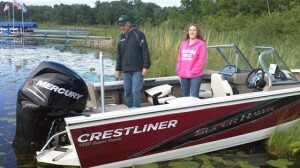 And, it comes fully loaded with features like a livewell, a roto-molded console, running lights, 22-oz. 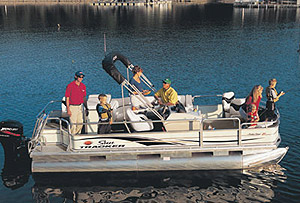 marine carpet, seats with multi-density foam, pedestal fishing seats, and a Bimini top. Chip in another $1,895 and you'll get a single-axel trailer, as well. 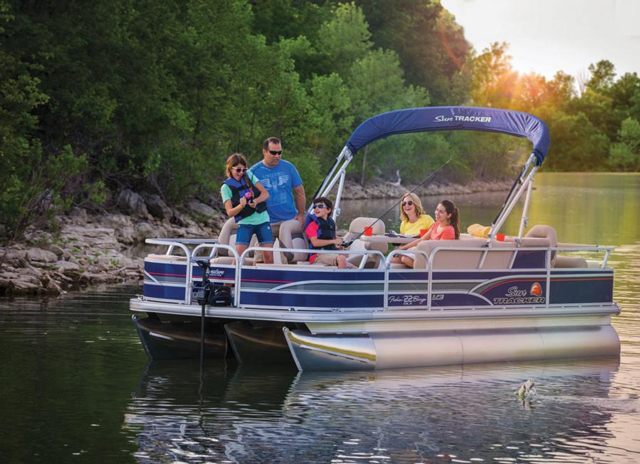 The 24” pontoons are multi-chambered for added safety, and the Bass Buggy’s deck is constructed of seven-ply pressure-treated wood that carries a limited lifetime warranty. The transom is all-aluminum, as are fence panels and rails. 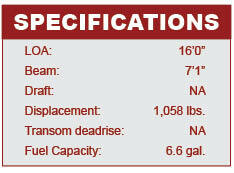 This boat also has a few touches you don’t often see in price-conscious offerings. The fence is insulated, for example, to cut down on vibration and noise when running. And the wiring is wrapped, to provide abrasion-resistance and protection. 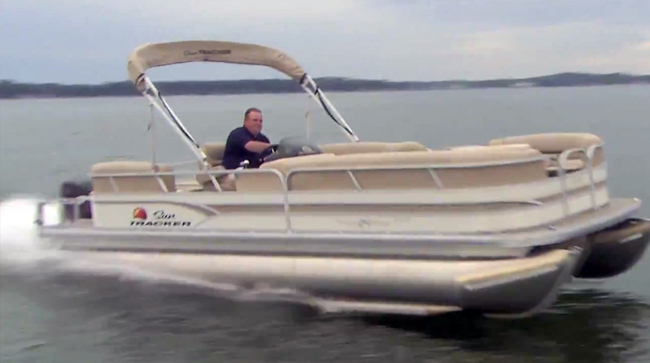 No, this won’t be the fanciest pontoon boat on the lake. It won’t be the largest, nor the fastest, and it certainly won’t be the most expensive. But if you want a brand-spankin’-new fishing ‘toon that can be purchased for $10,000 or less, it’s time to check out the Bass Buggy 16—let us know what you catch! 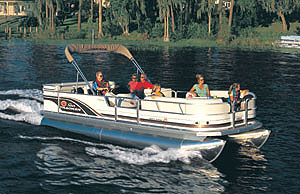 For more information, visit Sun Tracker Boats.